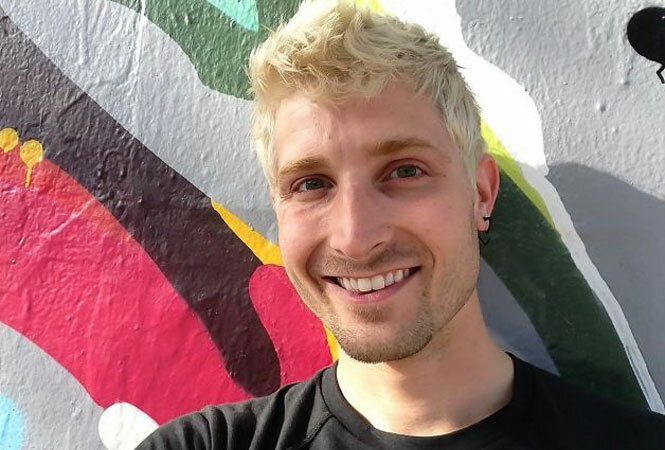 SAN FRANCISCO — A San Francisco gay man who was beaten and left for dead in the city’s Castro District on Sunday was taken off of life support Wednesday afternoon while more than 100 people gathered in a silent vigil on a hill in a nearby park. Police are now investigating his death of Bryan Higgins, 31, as a homicide. Higgins was found unconscious on a street corner in San Francisco on Sunday and was identified Monday after a social media campaign that was launched by San Francisco General Hospital and the San Francisco Sheriff’s Department. Police believe Higgins was assaulted between sunrise and 7 a.m. on Sunday, and say they have surveillance video that’s helping their investigation and that they already have some leads on a suspect, reports KNTV. “We can’t get into the specifics as far as what the video shows, but what I can tell you is that there is evidence that this person was actually a victim of a crime, and there is a suspect associated with that,” said SFPD spokesperson Officer Albie Esparza. Officers also said they have surveillance video that shows Higgins was beaten. Police are not releasing the surveillance video, but indicate it shows Higgins was beaten, and that a suspect in the attack is described as a white man in his 20s or 30s, and wearing a grey-hooded sweatshirt. Higgins, who also went by the name Feather Lyn, we was a member of the Radical Faeries, a movement of gay men searching for a spiritual dimension to their sexuality. “We would see him walking around wearing feathers and he was kind of flowing like a feather,” said friend Brian Busta. Higgins leaves behind a husband and family. Higgins described himself on his Facebook profile as a “starving artist” who worked at a local deli only a few blocks from where he was found.